How are you doing and how's spring treating you :). 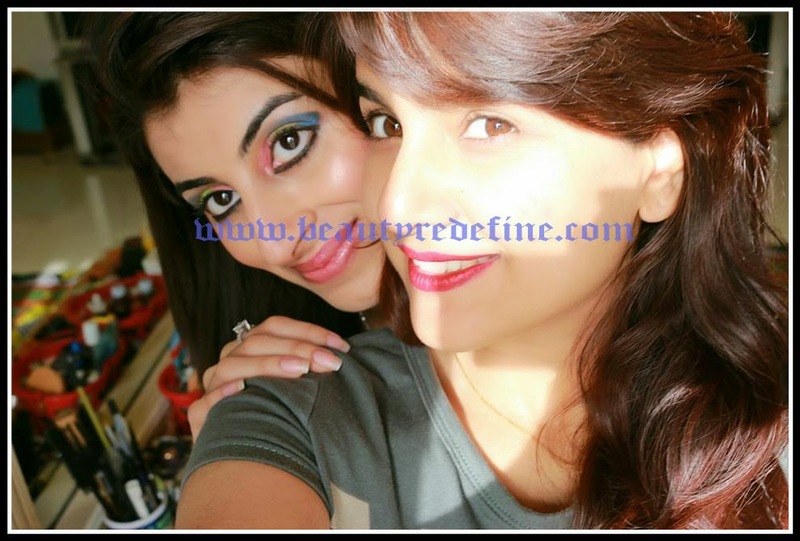 Few days back, me and another beauty blogger Bakhtawar planned to meet. She is such a sweetheart and a very pretty girl. She runs a blog by name Jee'z Blog. She does just amazing looks on her models. I always loved the look she creates specially the Barbie look she did. So, u know what happens when two beauty blogger meets ? We decided to do a makeover... She created a "Spring Time" look for me. so here are some pictures of the girls time we had. Hope you all like them.